Pupil Distance (PD) - Rx Frames N Lenses Ltd. Your PD is the distance from the center of the pupil (black spot) in one eye to the center of the pupil in your other eye. Your PD measurement improves the positioning of your lenses within the eyeglass frame. Your PD has nothing to do with the eyeglass frame itself. 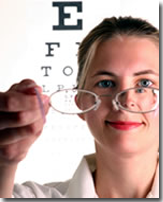 Be sure you ask for your PD measurement when you have your eyes examined and have it added to your prescription. Wherever you had your last pair of eyeglasses made they will have your PD. The PD in this example is 58 millimeters. We recommend you get your PD measurement with your prescription or have your local optician measure it for you. 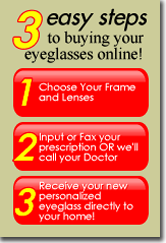 You can also get your PD from the last place your eyeglasses were made or for a small fee most optical shops will measure your PD.